Smart E-Commerce Solutions for Smart brands. We offer smart ecommerce web development solutions in Ahmedabad based on different platforms like Magento, WordPress and Custom CMS. Whether it is online storefront for selling goods or services or booking platform for space or seats, we provide efficient and robust e-commerce solutions working closely with your requirements. Also our E-commerce web design are responsive for accessible through any platform. Grow your business online with E-Commerce Website Design & Development expert in Ahmedabad. Brand Core Media is one of the best E-commerce website design company in Ahmedabad. Our customised, SEO friendly and result oriented E-commerce website design and development in Ahmedabad for our customers comes with appealing graphics, responsive design and secure online transactions features. Our services are tailor made for startups, small and large size enterprises. Each E commerce website for online sales, portal or booking feature that we develop in Ahmedabad is fully customizable and accessibale through mobile application. We are E COMMERCE WEBSITE DESIGN & DEVELOPMENT COMPANY IN AHMEDABAD creating powerful, user friendly and performance driven websites with tangible results in terms of search engine traffic and online transactions. We are As a professional E commerce development company in Ahmedabad, our foremost objective is to cater our customers with excellent quality that they aspire while considering their business to soar new heights through online sales. Your requirement, whether it is an open source Ecommerce website development in Ahmedabad based on platforms like Magento, Drupal, WooCommerce or Joomla, or you are looking for custom Ecommerce CMS; we are here to support you. Our creative Ahmedabad Ecommerce website development doesn’t stop once we design and code your online platform ready for sales. We provide complete online marketing services including SEO, PPC, and Facebook marketing. We proved customised and well researched online marketing campaigns for your business. Our objective is to drive more organic and targeted traffic to your website that generates inquiries and sales. As a specialist Ecommerce website company in Ahmedabad, we believe in offering custom solutions and services that suit every budget. We are a creative and custom Ecommerce website development Ahmedabad company providing affordable services to our customers in Ahmedabad to grow across the international horizons through our amazing ecommerce website design and development. We provide the full service best quality and contemporary web design and Ecommerce web development solutions. Considering the fact that we are not only Ecommerce website developer in Ahmedabad that provides affordable and result driven website solution, we are also amongst the best website developer in Ahmedabad. Our solutions are client focused and customised to provide dedicated traffic to your site. We help our clients in Ahmedabad to design website that substantially increase brand presence and online sales. Right from the stretch of your Ecommerce website design stage, our resourceful team will regularly interact with you to understanding your requirements and what you want to achieve from your website. Also we don’t directly resource the website design templates that are available ready to use but we suggest creating custom look and feel that not only impress the website visitors but motivates them to make transactions. We are competent and concerned for creating online brand presence and not only a website that offers online sales. Today we are best and most preferred Ecommerce website development company in Ahmedabad because we follow international design standards by optimizing our skills and experience. Magento is one of the best and most feature rich open-source Ecommece CMS platform used worldwide. Also, it is most flexible and customizable solution for all type of Ecommerce usages. Magento Ecommerce web development in Ahmedabad by Brand Core Media gives customised product display, mobile and tablet responsive layout, user account and seller account management and many other modern-day features. Out of different Ecommerce platforms available, WooCommerce is one of the platform that gives streamlined customization experience with easy to operate CMS. With an Ecommerce web development in Ahmedabad done by Brand Core Media Company, you can expect best of the SEO functionality and mobile responsiveness with lots of plugins to use for different features. WOOCOMMERCE FOR STARTUPS & SMALL BUSINESSES. CUSTOM E-COMMERCE CMS DEVELOPMENTFOR ENTERPRISES. Custom CMS developed by Ahmedabad Ecommerce development company Brand Core Media offers flexibility to admin and multiple sellers online to manage their product listings, catalogue and inventory without external help. It helps to reduce the cost and time required for making any changes in terms of products, category, sub-category, price, discounts and more without any technical skills of programming or graphic designing. Mobile applications have become very essential for Ecommerce websites these days. Almost 70% of current traffic on Ecommerce websites are achieved through mobile applications on Android and iOS. 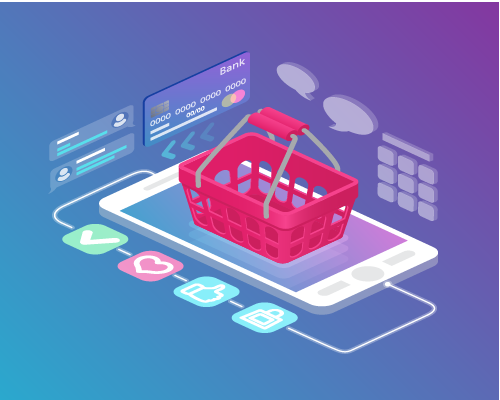 We as a leading Ecommerce web development company in Ahmedabad offers integrated development services for both Ecommerce website and mobile apps for smoother and faster operation and cost savings for our customers. Professional Ecommerce presence for your brand. Ecommerce website that is search engine optimised. Design that motivates conversions and online sales. Payment gateway integration for all type of online payment. Open source of custom CMS development. Mobile friendly Ecommerce website design. User friendly CMS for better website management. Integration of website analytics and customer behaviour. Secured log-in and online payment system. Integrated stock management and invoicing system. Integrated system for customer management. Integrated system for product promotion and discount. Whether it’s a brand new Ecommerce website you are looking to design or wanted to re-design and develop your current website featuring Ecommerce facility, we are here in Ahmedabad to help you. With years of experience and carrying big brands in our portfolio for designing complete brand identity to promoting website for online sales. We work to assist you for providing complete online solution for your business. Ecommerce website development in Ahmedabad for us is not only our business but it is our PASSION. Hey! Are you looking for E-Commerce web design company in Ahmedabad? We are leading and technology driven e-commerce development company in Ahmedabad. We provide customised solutions using different e-commerce platforms like Magento, WooCommerce, Joomla and OsCommerce. Not only this but we also offers integrated solutions for mobile application development for all types of online stores. Not only this, we will help you to promote your brand through different social media platform. Are you looking for E-Commerce Development Solutions? Call us today! We are easy to access for all our clients from Ahmedabad, India and overseas.